or Miscellaneous Tracts Relating to Antiquity. ■ Sussex Archaeological Collections Vol.1-124. with 4 index vols. covering the first 100 vols. ■ Le Sculpture Chinoise du 5 au 14 Siecle Tome1-4 & Introduction Generale. 5vols. 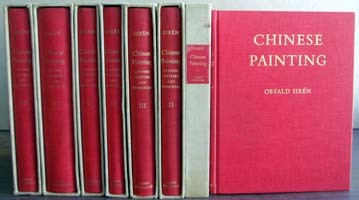 ■ Chinese Painting ; Leading Masters and Principles Vol.1-7. 7vols. ■ Ancient Egyptian Paintings Vol.1-2. (Plates) / Vol.3. (Descriptive Text) 3vols. © 2003-2017 Daiichi Shobo CO., LTD.